Smoothie King Planning To Relocate Headquarters? There are reports Smoothie King is looking at moving its corporate headquarters from Metairie to Texas. A five-year deal between Louisiana and the fruit drink maker expires at the end of the year. Louisiana Economic Development Secretary Don Pierson has spoken with Smoothie King. Pierson says if they are planning on leaving the state, it would leave about 60 employees out of work. Under the deal set to expire, the state pays Smoothie King hundreds of thousands of dollars in incentives. Pierson says Louisiana Economic Development will work with Smoothie King to explore all options for them to remain in the state. 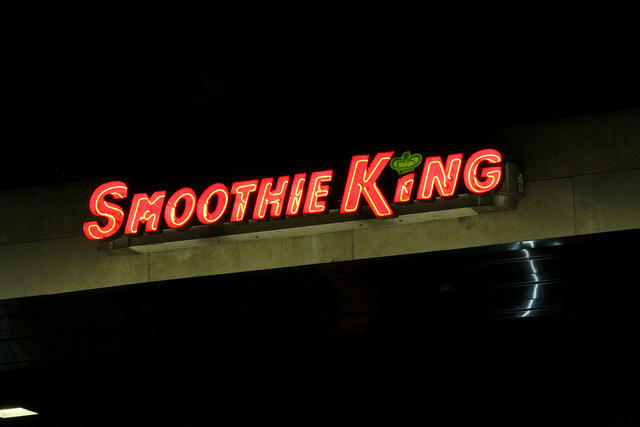 Smoothie King is in the third year of a ten-year naming rights agreement to the home of the New Orleans Pelicans. At the time, owner Wan Kim said the deal allows the company to show its commitment to New Orleans.